Jihad Watch : There seems to be no low to which the British government will not stoop in order to appease and accommodate Muslims. 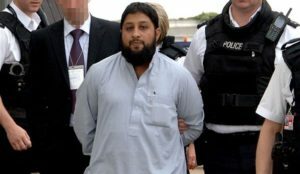 As they handed huge sums to this jihadi for his legal aid fees, they were also busy banning people from the country for the crime of opposing jihad terror. Britain is finished.